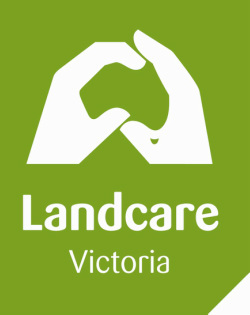 Landcare - Kowree Farm Tree Group Inc.
Landcare began in Victoria in 1985 out of a joint initiative between Joan Kirner, (then Minister for Conservation, Forests and Lands) and Heather Mitchell, (then president of the Victorian Farmers Federation). The idea of Landcare was born out of a need to address the degradation of farmland, public land and waterways. The Landcare idea quickly spread and became a national movement in 1989 when the Australian Government committed $320 million to fund a National Landcare Program. Landcare is a voluntary community movement of about 4500 groups across Australia. Landcare is an amazing grass roots movement that joins individuals and groups who wish to care for the land. It began with initiatives to improve agricultural productivity through sustainable land management, and has grown from this to focus on sustainable management of all of Australia’s natural resource assets. The Kowree Farm Tree Group hosts the Landcare facilitator/s to assist landholders in the West Wimmera region. Young Agriculture Network - This is a network for young people involved in Agriculture in the West Wimmera. A facebook group has been started along with an email list to keep young farmers up to date about relevant activities in the local area. Email kowreefarmtreegrouplandcare@gmail.com if you would like to be added to the email list. What's Happening in Landcare - visit our blog to see what has been happening in Landcare in the West Wimmera.